American Head Charge / Liv Sin / In Death / Reptil. Beirkeller, Bristol. 12th September 2017. 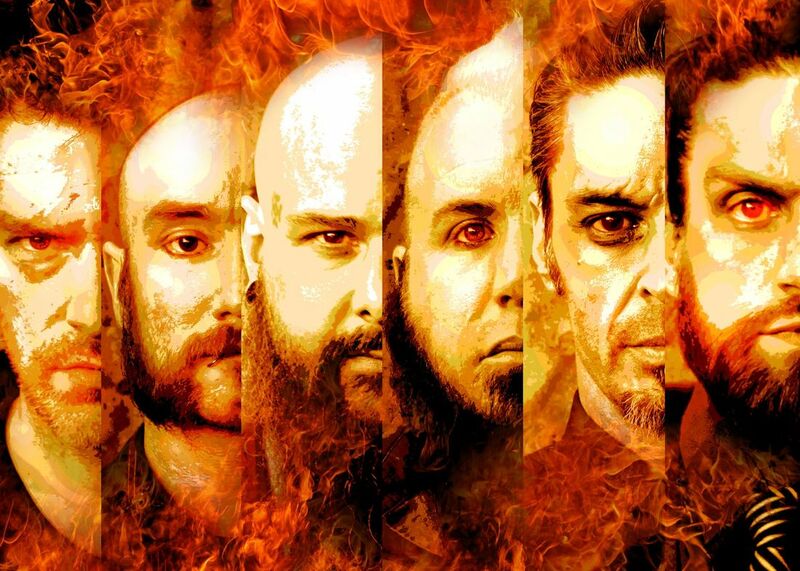 Not content with bringing their highly charged selves, industrial nu metallers American Head Charge assembled an extremely diverse and multi-continental support bill which made their Beirkeller show an utterly unmissable and mouthwatering musical prospect. The question is; how to describe opening band Reptil? Offering everything and a little bit more with shock values and a theatrical, musically voyeuristic element, the Germanic five-piece were simply captivating. Displaying an overt, utterly compulsive show of weirdness from the off, Reptil’s industrial inspiration was evident, with a Rob Zombie / Marilyn Manson / Gwar slant inhabiting a gruesome world of their own. With throbbing thriving beats galore and grooves aplenty, their shock horror act that was nothing less than enthralling. A tough act to follow, however Brisbane death metallers In Death weren’t about to lay downwithout a fight. Blasting their way onto the stage, the band’s intensive riffage and hilarious banter proved a massive hit in Bristol. "Let’s throw another corpse on the Barbie, mate", growled front man Krugga, between tunes, as the band delivered a brilliant intense performance. Flying the Swedish flag meanwhile, were Liv Sin, featuring former Sister Sin former front woman Liv Jagrell. Playing their own brand of balls to the wall, European metal, the sinners cover similar territory to that of a beefier Warlock. With catchy, chanty, bouncy tunes such as ‘Black Souls’ the Swedes proved the perfect warm up for the main event. With three top class acts ahead of them, American Head Charge could have been up against it, however they showed no signs of faltering, as the packed venue of fanatics gave it their all in return from a simply pumped performance. Tune after tune of intensive head-banging music fronted by the ever-so-cool Cameron Heacock kept the faithful happy, as super fine six string shredding from Karma Cheema and the returning Benji Helberg secured a unique and honed experience. A celebration from the off - in more ways than one - all the performers from tonight’s support bands returned to the stage to celebrate AHC drummer Jeremiah Stratton’s birthday in style, on what was the first night of the UK tour. A damp Bristol Tuesday evening it may have been, but all thoughts of gloom were washed away in true moshing fashion, with the evening peaking with an incendiary ‘Just So You Know’. A varied evening, with displays of musical tightness and heavy groove of elegance, the only parting thought was; “Thanks for the musical extravaganza". Come back soon AHC. INTERVIEW: American Head Charge Chart Their Difficult Rebirth. 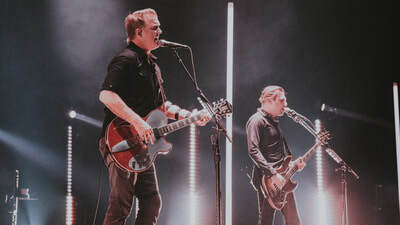 QOTSA Finish Tour In Dublin As Josh Homme Proclaims: “I Cannot Think Of A Better City In The World To End It In”. 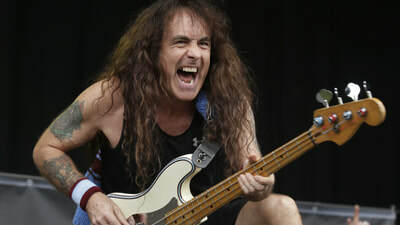 Fresh From Wrapping Up Iron Maiden's Latest Tour, We Catch Up With Steve Harris.